If you are missing a page, or need further copies of any of the instructions from any of our mystery quilt projects, posted to date, click on the image button of the quilt's project under DON'T MISS A STEP to find what you need. If you have a question, or need further assistance, please contact Erik HOMEMADE®. 01 March 2019: As the Benjamin Franklin Mystery Quilt nears its end, do you plan on removing the instructions from your site? NO. The instructions are part of our permanent content and will remain on our site! All of the instructions, including the block tutorials will stay. Click on the B Franklin label, the Ben Franklin ribbon, or the BF button on the right side of our Main/Home Page to find the entire set of instructions just as they first appeared.Hey! We sent you an email and you never wrote back! What is up with that? We try to respond as quickly as possible to emails we receive. If it is a comment or a question, whether left as a blog comment or a personal email, we respond. It may take a few days...all depends...however we do remind you to check your Spam/Junk for our answer...it may have gotten to your mail box...just not yet to you! How many blocks are there in your Benjamin Franklin Mystery Quilt? Since it is a mystery project, we don't like to let the cat out of the bag (well, at least not too much of the cat...) but we can tell you quite a few! Dr Franklin lead a very interesting and long life that we are trying to reflect in this quilt...more than 12! When we are finished presenting the blocks, there will be finishing instructions for 2 styles of quilt: traditional and non-traditional; posting over additional months, in order. 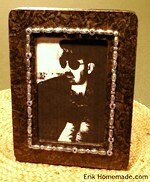 How do I submit a photo of a project I have made from an Erik HOMEMADE® pattern to be placed on your website? We welcome all reader submitted photos! Please email them to weblog@erikhomemade.com and we will place them in the appropriate photo album found on the left side of our screen! Please include the city/region/state you live in so that we may credit you accordingly. For the time being we can only upload photos received in JPEG format. Our quilt shop would like to use an Erik HOMEMADE® website pattern to teach! Is that OK? Absolutely! You may! We only ask that you share our free patterns for free and in its original form that includes our © copyright symbol and our name and website information. (Of course you may charge for the photocopying). If you use an Erik HOMEMADE® pattern that your shop sells, every student must have an original copy of the pattern--a note on the back of the pattern will let you know. The free things we offer here may always be passed around, either electronically or on paper! The clip art you have on your website is so cool! Where do you find it? Thank you for taking notice! The clip art and spot illustrations we use are authentic from times past. We have found many of these nostalgic designs in old magazines, newspapers, and periodicals of the 1940's and 1950's; we think it gives the pages @ Erik HOMEMADE® a real vintage appeal! Where is your studio located? Our design studio is located in NW Ohio, near the Michigan State line. Is your studio open to the public? Not at this time. There used to be so many books along the side of your weblog. Where are they now? Although we have kept a few choice books in each category, we have moved many of our books to our Amazon.com STUDIO STORE in order to keep things neat and tidy. Click on the STUDIO STORE button to open the first page, then click on the category (on the right side) of books or other merchandise you wish to see. Remember, we earn a small commission through your purchases accessed through our site. What happens when you find a mistake in your instructions? We fix them! We do everything we can to make sure that our instructions are accurate, however sometimes a mistake may occur--for various reasons (typographical, etc). We double-check our posts and downloads, but when we find a mistake we correct it as quickly as possible. If necessary, we will post an announcement with the correction. We also add a note to our Corrections Page. The download PDF is corrected immediately as well so that all of the information is correct. On occasion our readers spot an error and contact us. We verify the information, and if warranted, correct the error. If you feel we have made an error, please contact Erik HOMEMADE®, and we will be happy to investigate. 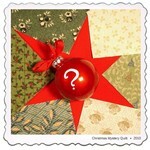 My quilt guild would like to use some of your patterns. Are we allowed to copy and share patterns we find on your website? Absolutely! you may share our patterns with others! All of the content on the Erik HOMEMADE® website is covered by the Creative Commons copyright. We allow you to copy anything you like, as long as Erik HOMEMADE® and our website address (erikhomemade.typepad.com) remain on what you share--so that anyone who has questions may contact us. By all means, feel free to copy, send, email, tweet, Facebook, hoot, holler, or simply pass the word, about anything you find @ Erik HOMEMADE®. For more information, click on the READ THIS Page, or on the CC button on our Main/Home Page. The Amazon book links on your side columns look great! Where do you find the books you post and offer for sale? All of the books that you see on the side of our website are books in the Erik HOMEMADE® Library! We own these books and enjoy them. They are books that may have been available for a few years already, but we feel our readers may be interested in these books as well. We offer these books for sale through our Amazon Associates account at our Studio Store where we earn a modest commission. Update Many of our featured books have been moved to our Amazon Studio Store! Amazon says the site will be running again sometime soon. We apologize for the trouble. Your ideas are really good, Why don't you have an ETSY shop? We love the crafts and creative folks at Etsy! It is a wonderful site that we like to visit often! We do not sell, nor do we foresee selling, what we design as far as a finished product. We like to create the prototype, figure out the instructions, take the photographs, and pass it along to you. That said, we may offer patterns for sale, in the future, either via our own site, or Etsy; we will keep our readers posted! Being creative is what we like, and sparking the imagination through instructions and design is what we love! Your site is wonderful, but you have no home page? It is hard to scroll through all of your great articles, then keep flipping back until I get where I started! Why? Thank you so much for giving us feedback through great questions! We do have a HOME Page; it is titled MAIN/HOME at the top of our Main Page, under our banner. By simply clicking on the word, you will be brought back to our "home" page. With our current growth over the past year and the popularity of our site, we have decided to add a navigation bar under the banner, on the top of our MAIN Page. The bar will feature black click-type buttons labeled with the destination page, HOME, for example. This should make things easier for everyone...you will be able to head right to the desired page, since we are adding a few of our more popular pages to the navigation bar, as well. Thank you for the great idea! Let us know what you think of the new features and how they work for you! We will soon be adding Blog This, FAVORITE, Pintrest, and TWITTER buttons to the end of each post! You can now share our content with your friends at Twitter, or mark an article as a favorite...to let us know! These enhancements are causing quite a stir around here...we hope you enjoy them! Where do you find the products you review? Are you paid for the review? Recently, the American government has decided that cyber-world has become filled with tainted reviews by websites and bloggers that receive "freebies" in return for a favorable review on a product and certain entities have come under attack. A new set of guidelines is about to follow. At Erik Homemade®(we are honest people. Most of the time we do research on a product before we ask for the item to be reviewed because we think our readers will be interested in the product; it may be a new item, or something that has been around for awhile. We put each product to a real test and show you the results in a real photograph. We also offer a similar review at Amazon.com (see our READ THIS Page), if applicable, when time allows. For many of our book reviews, we receive a "review copy" for the intended purpose of reviewing the book--a common practice in the publishing world. Please note that not all books pass our pre-selection and are returned to the publisher or donated to our local library. If we ask for a book, it is because we think the review will interest our readers. We have never been paid for a review, ever. And better yet, no one has ever offered to pay us. For Erik Homemade® it is easy to remember: honest reviews! Always. 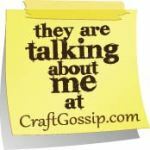 Do you really find your dollar store crafts at the dollar store? As a matter of fact, we do ! We shop our local chain stores (Dollar Tree, Dollar Castle, etc) as well as our local dollar shops, as well as the dollar section of our big-box stores. Although everything in the project may not be from the dollar store, most of it, and the inspiration, are. 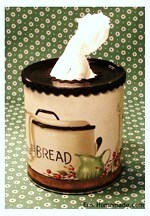 Where do you find the props for your photographs, the dishes, linens, and things? Simply put, everywhere! We are constantly on the look-out for the props we use in our photographs...some of them, like the vintage rooster from our Vintage Shopping List Clip Art (20 January 2009) is part of Erik's private collection, while others, like the piggy plate from our One-Dish Pork Chops and Baked Beans recipe (15 April 2009) was a treasured find at an outlet store! We love to go shopping, and prop seeking is a whole lot of fun! What type of cameras/photo equipment do you use? We use only SONY(tm) cameras and photographic equipment. We have cameras of different pixel calibrations that we use for different applications. We also use SONY(tm) software on a SONY(tm) Viao computer. Production Manager, Jeff, likes the ease of digital photography because everything is compatible...from camera, to photograph, to email and internet...one photo can go everywhere. How do you choose prizes for your contests? We purchase prizes we hope our readers will enjoy winning, and we try to vary the prize. Sometimes it may be a book, a kit, or even supplies. Rarely do we ask for the prize to be donated, but if they are, we make mention of it. We really like having the give-aways; it is fun to see where all of the post-cards come from! For more information on our current contest, go to the CURRENT CONTEST Page, and good luck! I am unable to print webpages from the Erik Homemade® eZine! I love the recipes and want to assemble a cookbook! How do I print your recipes?! Printing any of the instruction or recipe content should be easy. If your browser will allow, you can click on the print button, sometimes in the form of a printer icon, to print the page that is in your computer window. Although it seems rare, some browsers, especially older versions, will not allow or will corrupt the printing content making it difficult to print. At the end of each post, we offer a download--it will look something like this: To get the recipe click here;Download Example Pdf Pdf... which will take you to a new window with the selected file in the display. This is a PDF file which, with a couple of clicks following the prompts, should allow your computer to print the current file. Most of our PDF files contain pictures or images, make sure that you have allowed your computer and printer to print "images" from the print pop-up window that displays during your print request. If you have further questions about printing PDF files using the ADOBE ACROBAT READER, contact www.acrobat.com. directly. See also our READ THIS Page; feel free to contact us directly, if the problem persists. When people use a word search to find your site, what is the craziest search that has lead them to you? Word searches are a common way to find what you are looking for on the world-wide web, and some of the word combinations people use get kind of wacky! The word "homemade" on our title generates a lot of interesting traffic. So far the funniest search has been for "homemade arms and legs"!... (sorry we couldn't help with that, but the staff thanks you for the chuckle!) We will be happy to post more of these searches in the future! You review a lot of books and patterns on your site, are your reviews published anywhere else? Yes, we also publish reviews at Amazon.com. Although the Amazon.com review is shorter and somewhat more casual, it co-insides with the same book/product at Erik Homemade®. We feel that no matter what the work, an author who does a good job should be celebrated, so we enjoy spreading a good word. You should be able to cross-reference each product we review, through the product link/product reviews button at Amazon. Look for the Erik Homemade® reviews at Amazon.com! How do you decide what content you will publish? Our published content comes from many different sources. Sometimes we see something at a trade show that sparks our interest. Sometimes we receive information on a new product through the mail, and sometimes we get ideas from our quilt club members and friends. Inspiration and creativity are a strange thing, and as any artist or crafter knows, it can hit at any time. We like to get out and participate either by shopping at charity and thrift stores, our local craft stores and quilt shops, or simply a tour through the bookshop. We are constantly looking to bring creative ideas;, ideas we hope you will like and want to try. Why do you offer PRODUCT REVIEWS? At Erik Homemade®we believe time is precious. There never seems to be enough time in the day for everything we want to do! By offering Product Reviews, we can save you, not only a little money by giving you insight from our experiences, but also time by narrowing your search for the type of product and (its) purpose you might be looking for. We hope you find our opinions as honest and helpful, as they are meant to be. Why do you offer BOOK/PATTERN REVIEWS? Over the years our quilt/craft/and cookbook library has grown. As designers and teachers, we are always looking for a new idea or the re-make of an old one-or even just a spark to ignite a new idea. Consequently we peruse a large number of books/patterns at Erik Homemade® and often find ones that we think would be a welcomed addition to the home-crafter's library. We will always give you our opinion of the book or pattern, information on how to find/purchase the book, and an AMAZON Link (icon) whenever possible. We hope you will enjoy these features. Why don't you allow comments on your REVIEW Pages? At Erik Homemade® we like to think of the REVIEW Pages as our special place to comment. We have found that too often the comments on the REVIEW topics are not relevant to the item reviewed and become a discussion about something else entirely, therefore the comment feature has been disabled. You are always invited to leave a comment elsewhere on the site by clicking the "Comments" button beneath the selected post, if you would like. You can also send us a comment by emailing us directly from the CONTACT US Page. Why the Title "COFFEE-BREAK" ? In a nutshell, we want this weblog to be filled with quick, short, and smart ideas to help our readers and subscribers escape the daily routine, if only for a few short, refreshing moments just like a "coffee break"! We want our eZine to be something you can look forward to during your busy day. Many people have asked us why we "just don't have a full-time full-blown website?". The truth is that we are still learning and we need to keep thing simple. Making crafts and quilting is one thing but when it comes to computers and on-line editing it is "a horse of a different color!" As you will be able to tell, weblog platforms are a simpler form of websites and therefore we feel we can concentrate on content. We hope to make this eZine an educational experience for all involved: taking photographs, learning HTML (if we have to), working with both time and deadlines, networking/meeting people, and of course enjoying ourselves as well as connecting with you, our public. Rest-assured the website www.erikhomemade.com is well on its way! Click on our WEBSITE UPDATES Page for current information. In the meantime, we have decided to offer a free taste of what our full membership only website may offer. This eZine will continue after the birth of Erik Homemade®.com and will become more personal and candid. Furthermore, we feel that an eZine like this is an excellent way to keep in touch with our readers.